This week the PHP development team announced the immediate availability of PHP 7.2.0 RC6. This is the sixth and hopefully final release candidate for PHP 7.2.0, with its imminent arrival later on this month. Also this week, with WordPress 4.9 due to be released soon, several defects were uncovered through testing of RC2, which has resulted in the availability of a third release candidate. Voting for the Symfony awards ends on Thursday evening, so you only have a few hours to choose your favourite community members. Plus we take a look at the authentication system in Laravel to create a custom authentication guard within the framework. And finally, the latest Zend Framework Quick Bites podcast announces the creation of a new course - Zend Expressive Essentials, based on the recently released book of the same name. One year ago I blogged about starting a new practice: Not using -m when committing something to Git. -m allows you to directly insert the commit message, which makes the whole process of committing faster, but not necessarily better. It's stats o'clock! See 2014, 2015, 2016.1, 2016.2 and 2017.1 for previous similar posts. A quick note on methodology, because all these stats are imperfect as they just sample some subset of the PHP user base. I look in the packagist.org logs of the last month for Composer installs done by someone. Composer sends the PHP version it is running with in its User-Agent header, so I can use that to see which PHP versions people are using Composer with. The Symfony Awards, Voting Ends Tonight! The Symfony Awards are back this year and you only have a few hours left to vote for them. You voted in 2015? Well, it's time to update your vote and vote for the 2017 edition! Discover all the Awards we'll reward this year. In my blog post, "A plan for media management in Drupal 8", I talked about some of the challenges with media in Drupal, the hopes of end users of Drupal, and the plan that the team working on the Media Initiative was targeting for future versions of Drupal 8. That blog post is one year old today. Since that time we released both Drupal 8.3 and Drupal 8.4, and Drupal 8.5 development is in full swing. In other words, it's time for an update on this initiative's progress and next steps. In this post we’ll learn how to verify phone numbers with Twilio in a Symfony project. We will discover how to model and validate a user’s phone number, and then use Twilio’s PHP SDK to create a call flow where the user has to enter a 6 digit code to verify themselves. Last year I wanted to backup a friend's instagram account, and chose a local Known instance as target. In this tutorial, we will learn a simple sorting algorithm - Shell Sort. With dynamic database-driven websites like WordPress, you might still have one problem on your hands: database queries slowing down your site. In this post, I’ll take you through how to identify the queries causing bottlenecks, how to understand the problems with them, along with quick fixes and other approaches to speed things up. I’ll be using an actual query we recently tackled that was slowing things down on the customer portal of deliciousbrains.com. I recently came across this really helpful PHP trick. You can cast a numeric string to either int or float, depending on its contents, by simply adding 0. If you’ve ever sat down and read an article on SEO, you’ve probably come across the terms sitemap and/or XML sitemap. But while sitemaps are a fairly common SEO recommendation, there aren’t a ton of deep looks at how XML sitemaps specifically work with WordPress. To fix that, we’re going to take a deep dive into WordPress sitemaps. This is the second article from the series about building from scratch a streaming Memcached PHP client for ReactPHP ecosystem. The library is already released and published, you can find it on GitHub. In the previous article, we created a simple streaming Memcached client for ReactPHP ecosystem. It can connect to Memcached server, execute commands and asynchronously return results. In this article we are going to implement some improvements. A Vue “wrapper” component is a technique used to integrate a 3rd party plugin with Vue by wrapping it in a custom Vue component. The wrapper technique means that you are likely bringing in a library like jQuery and a jQuery plugin. This combination seems to be the most ubiquitous, and it’s my personal preference when I want to use a jQuery plugin inside of a Vue application. Let’s quickly cover an example of how we might build a wrapper component with a date range picker, which allows you to pick a start and an end date. On a recent project, I needed to implement CORS support for my Expressive API. The easiest way to do this is to use Mike Tuupola's PSR-7 CORS Middleware. As this is a standard Slim-Style PSR-7 middleware implementation, we need to wrap it for Expressive, so we make a factory. Composer is a PHP dependency manager that’s used in just about any modern PHP application, and it works similarly to how Bundler works for Ruby. Even though Composer itself gives you a warning about not running it as root, lots of people disregard this warning and run it as root anyway. We run into this issue a lot on my open source asset management project, Snipe-IT, so I figured I’d write up how to fix this if you inadvertently (or advertently) ran composer as root. The third release candidate for WordPress 4.9 is now available. A release candidate (RC) means we think we’re done, but with millions of users and thousands of plugins and themes, it’s possible we’ve missed something. In fact, we did miss some things in RC1 and RC2. This third release candidate was not originally scheduled, but due a number of defects uncovered through your testing of RC2 (thank you! ), we are putting out another 4.9 release candidate. Tackling the Beast: How to Gradually Upgrade a Legacy Code Base to PHP 7, presented by Ann Gaffigan. Hypothetically speaking, what if you wanted to change all of the lightbulbs in your house to use LED bulbs, but your current wiring didn’t support LED bulbs? You would need to re-wire your house, which would take a long time. In the meantime, you wouldn’t have any working electricity. Is there a better way? What if there was an adapter that could transition LED to work with old wiring if necessary, or if the wiring was new, just work as usual? That’s a metaphor for how I figured out how to gradually upgrade a legacy (LAMP) code base to be compliant with PHP 7.0. Since PHP deprecated the MySQL extension functions as of PHP 5.5.0 and removed in 7.0, we needed to transition a LOT of code in a legacy system to use the modern MySQLi extension functions. In trying to figure out how to upgrade the code base without ceasing new development on the system, we decided to use an adapter database class to allow us to transition gradually. In this session, we’ll explain how the adapter class works and also the rules we put in place to ensure there was an end to the transition tunnel. An interview with Jeffrey Way, the founder of Laracasts. This week Cal Evans talked to consultant, developer and specialist, certified in Zend Framework, Alan Seiden. Sean Griffin joins the show to talk about doing Rails full-time, his love of Rust. and his project Diesel - a safe, extensible ORM and query builder for Rust. We discuss Sean’s path to working full-time on Rails, what he works on specifically, why Rust, why Diesel, and how much of Diesel’s design and feature set is a product of his experience with ActiveRecord and Rails. The guys talk mullets, Shopify's claims, B2B getting hot, and a new thought experiment for 2018: The Deployed OSS Stack. Today we have a polite (maybe) discussion on team structures, around Backend/Frontend/Designers/etc. In this episode, I’m super excited to announce that Pluralsight have given me the go-ahead to create a new course: Zend Expressive Essentials! That’s right, a new course, based on the recently published book (of the same name) Zend Expressive Essentials. If you bought the book, I’m confident you’ll be interested in taking the course. Topics include upgrading my network to "normal", and Larachat Live. In this episode, Michael teases about the secret purpose of his Sydney trip, before moving on to the topic of status pages and reporting service disruptions, as well as communicating with peers. Iztok Smolic is the Commercial Director at AGILEDROP, web development company focused on enabling digital agencies to scale their Drupal capacities. Today we sit down and have a chat with Iztok revolving around Drupal. On November 06th 2017, CMS Critic announced the winners of the CMS Critic Awards 2017. Joomla! has been competing in the Best Free CMS category and won - again! Magento is an open-source platform for building online stores that also provides omni-channel experiences to your customers. First released in 2008, it has grown continually and become the most popular eCommerce platform. Over 250,000 merchants worldwide are using the Magento Commerce platform, which represents around 30% of the total market share. As big as the Magento ecosystem is, it can easily confuse newcomers. To help orient you, we’ll give an overview of the different approaches and versions of Magento available for building an online store and some of the resources available for doing so. At this point, there is no excuse for not learning to code. There are so many accessible online and affordable courses that can help you build a foundation and work on your timeline. You might think you must go through an online college program to find these online educational courses, not true. The Learn to Code 2018 Bundle is a comprehensive course load, taught by experts in the industry, that will give you a thorough base to coding-and it’s super affordable. phpBB is a popular open-source bulletin board written in PHP. This repository also contains the history of version 2. A PHP library for communicating with the Twilio REST API and generating TwiML. 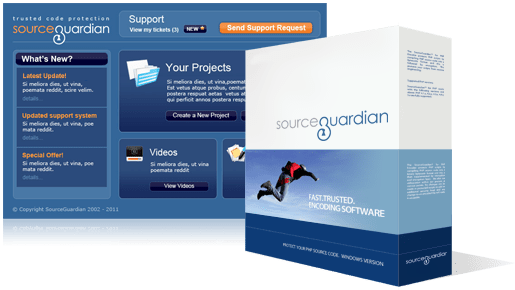 A flexible, elegant and easy-to-use content management system, which is both free and open source. A little more than a lightweight SQLite Blog-Engine. A lightweight data mapper designed to take advantage of PHP 5.3+. Collection of development libraries to speed PHP development. Create a Phar (PHp ARchive) file of your Composer based PHP application. Zephir - Ze(nd Engine) Ph(p) I(nt)r(mediate) - is a high level language that eases the creation and maintainability of extensions for PHP. Repo for OpenCFP project, a PHP-based conference talk submission system.